Applications of Computer Vision in Fashion and Textiles provides a systematic and comprehensive discussion of three key areas that are taking advantage of developments in computer vision technology, namely textile defect detection and quality control, fashion recognition and 3D modeling, and 2D and 3D human body modeling for improving clothing fit. 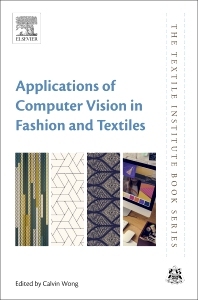 It introduces the fundamentals of computer vision techniques for fashion and textile applications, also reviewing computer vision techniques for textile quality control, including chapters on wavelet transforms, Gibor filters, Fourier transforms, and neural network techniques. Final sections cover recognition, modeling, retrieval technologies and advanced human shape modeling techniques. The book is essential reading for scientists and researchers working in the field of fashion production, quality assurance, product development, textiles, fashion supply chain managers, R&D professionals and managers in the textile industry.